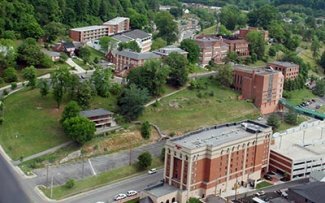 Pikeville College, Pikeville KY has deep roots and a proud heritage. It was founded in 1889 by Presbyterians with a mission of providing the best possible educational opportunities to the people in the mountain area of central Appalachia. Though the College has changed and grown in many ways throughout the years, this primary purpose has remained steadfast. One of the important advantages of being a small college is that we can work with each student as an individual. Each student is different in important ways, and it is essential that we recognize those differences so that each may develop his or her full potential, both academically and personally. The college offers many four-year degree programs of study along with the Pikeville College School of Osteopathic Medicine. One of three medical schools in the state and one of 11 Osteopathic Medical schools in the country, one of three medical schools in the state. At Pikeville College, education is experienced in an environment that remains true to its Christian heritage, stressing the worth of each individual and the acceptance of a variety of religious expressions. We continue to work toward spiritual growth in all areas of campus life. Pikeville College is accredited by the Commission on Colleges of the Southern Association of Colleges and Schools (1866 Southern Lane, Decatur, Georgia 30033-4097; telephone number 404.679.4501) to award the associate, baccalaureate and doctoral degrees. For more information Contact the College at (606) 218-5251. Brookshire Inn is convientaly located just a few miles from Pikeville College. Call today to get discounted student rates, and specials. 1-888-433-1107.